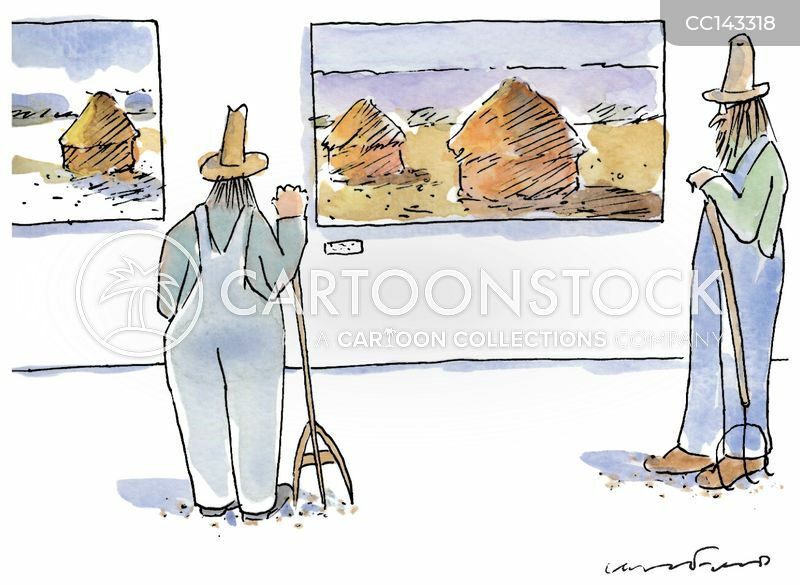 Farmer's looking at paintings of haystacks. 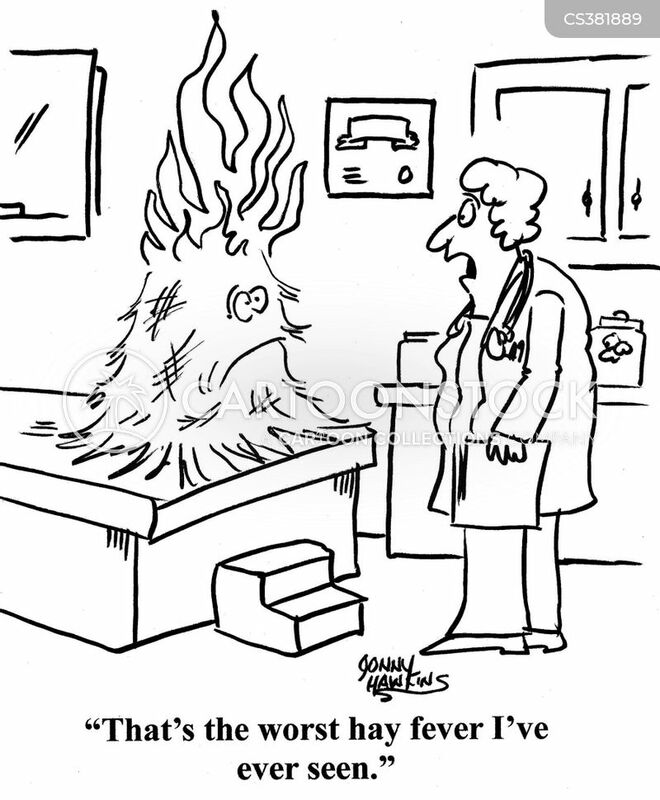 "Oh, great. 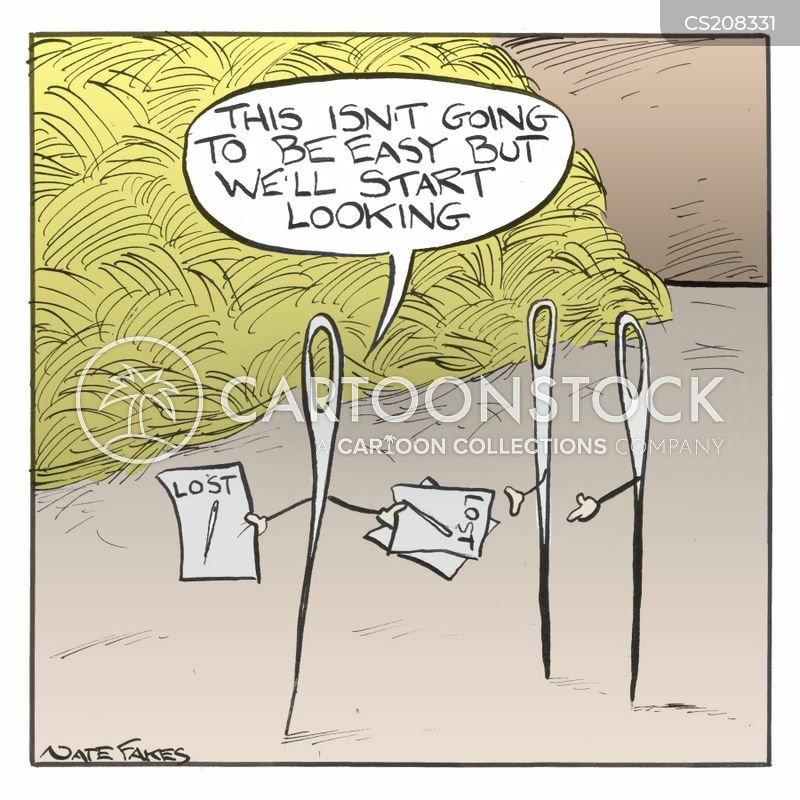 That'll be like finding a...well, you know." 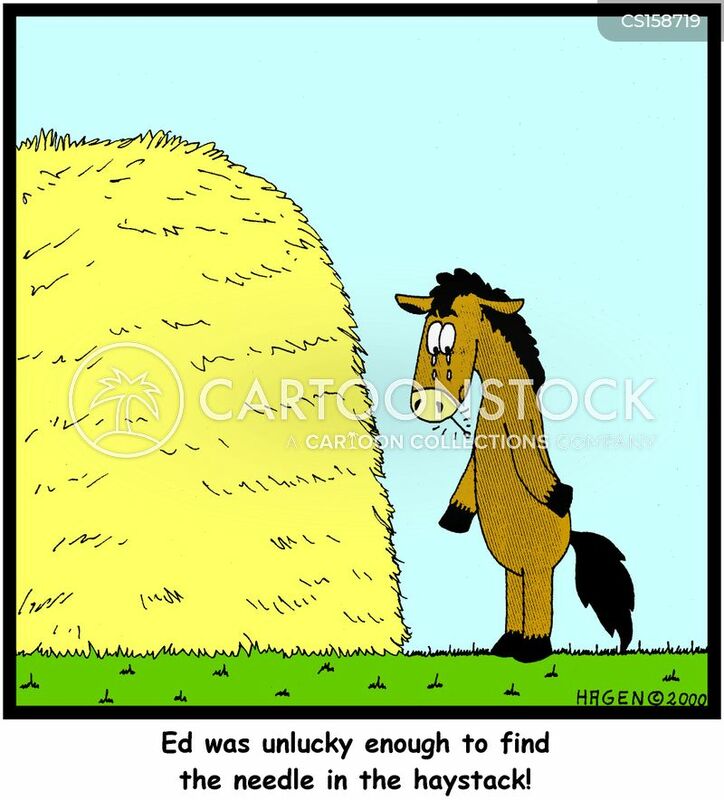 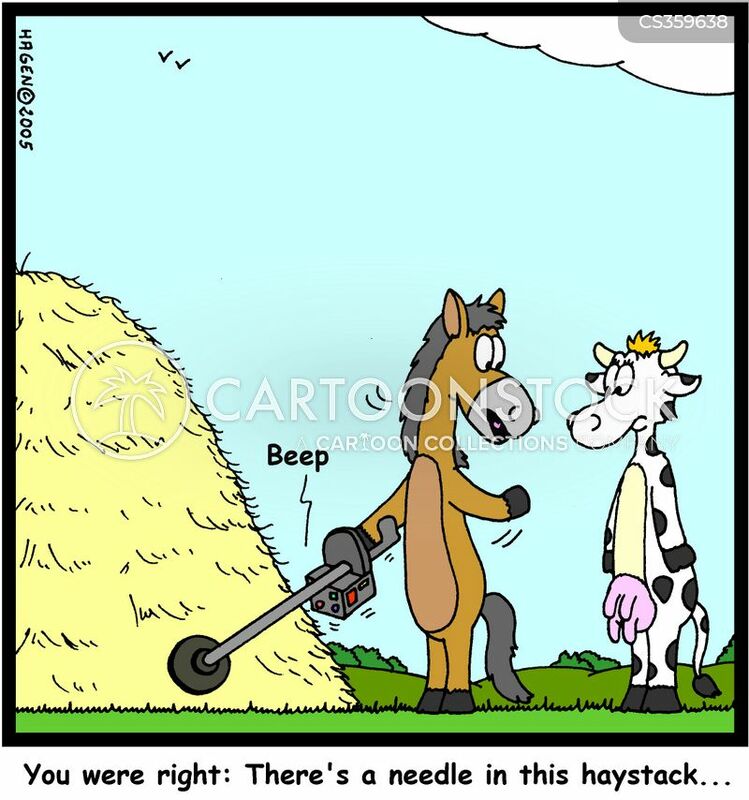 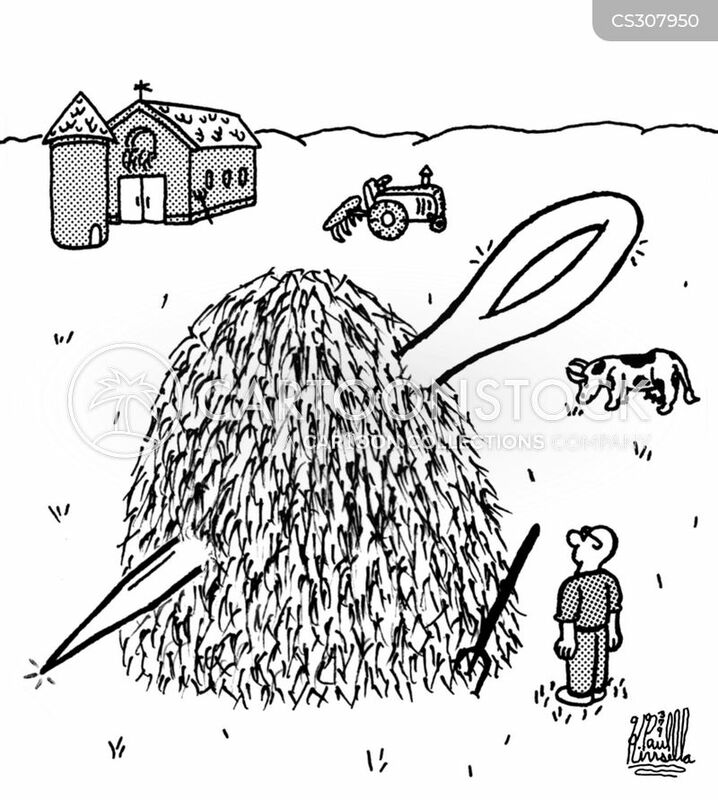 Ed was unlucky enough to find the needle in the haystack! 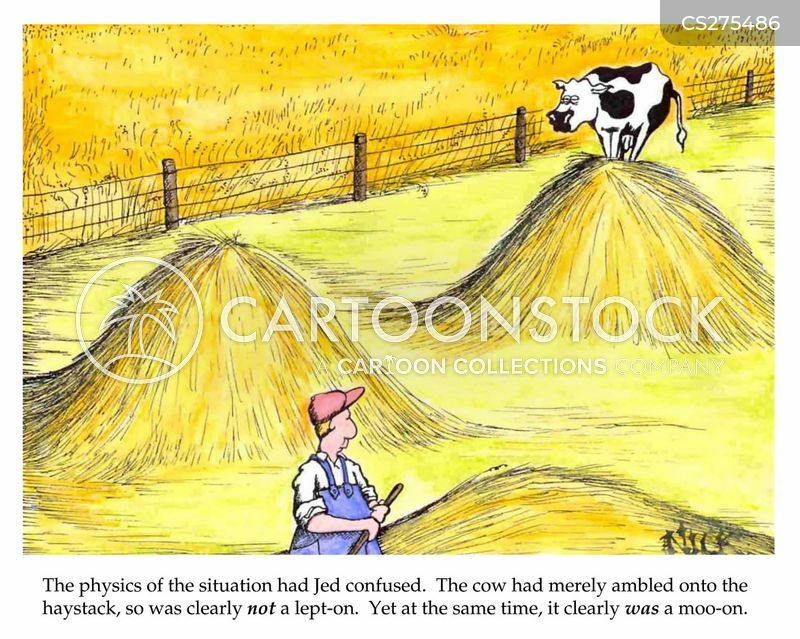 The physics of the situation had Jed confused. 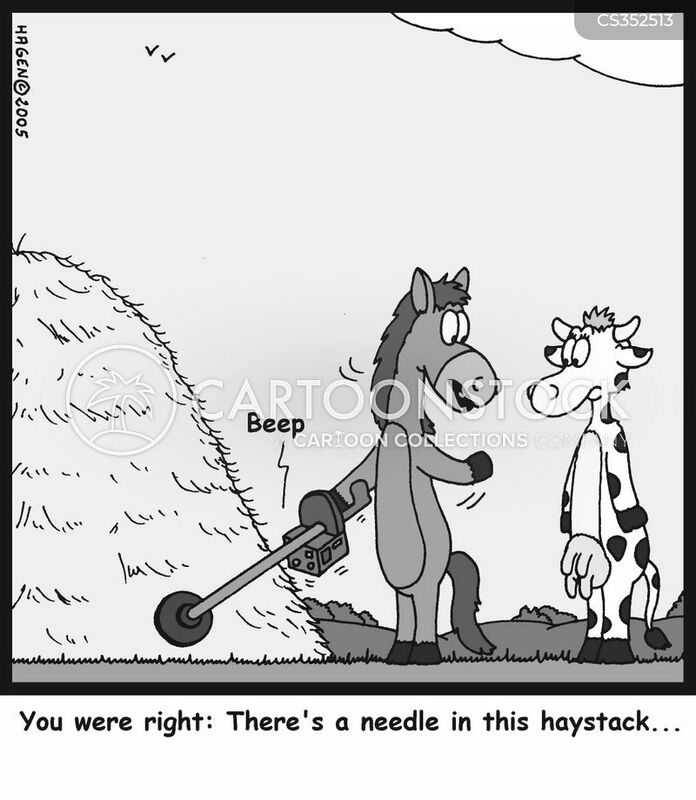 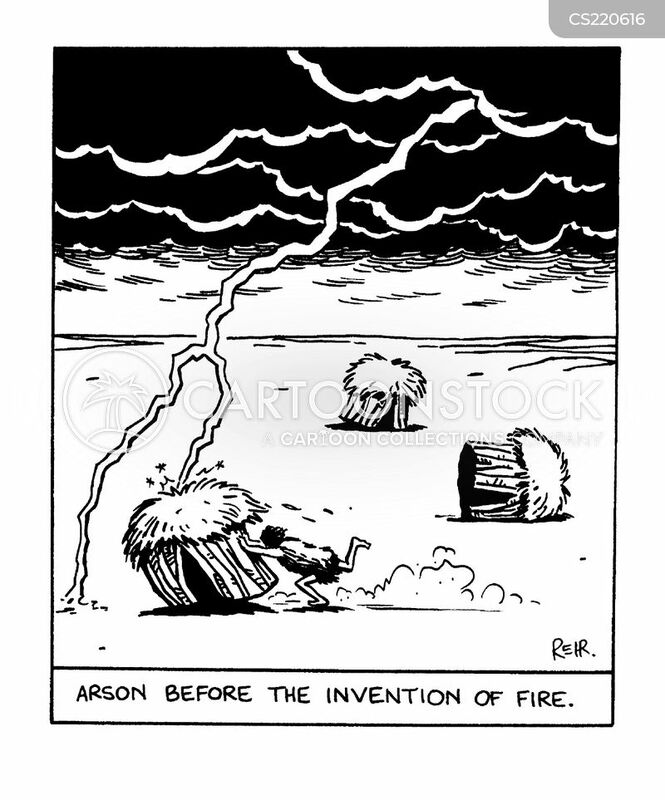 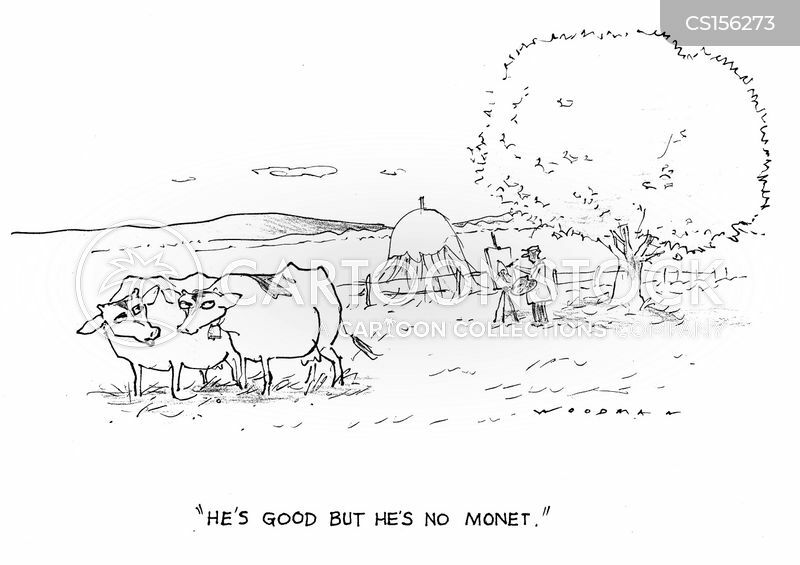 The cow had merely ambled onto the haystack, so was clearly not a leapt-on Yet at the same time, it clearly was a moo-on. 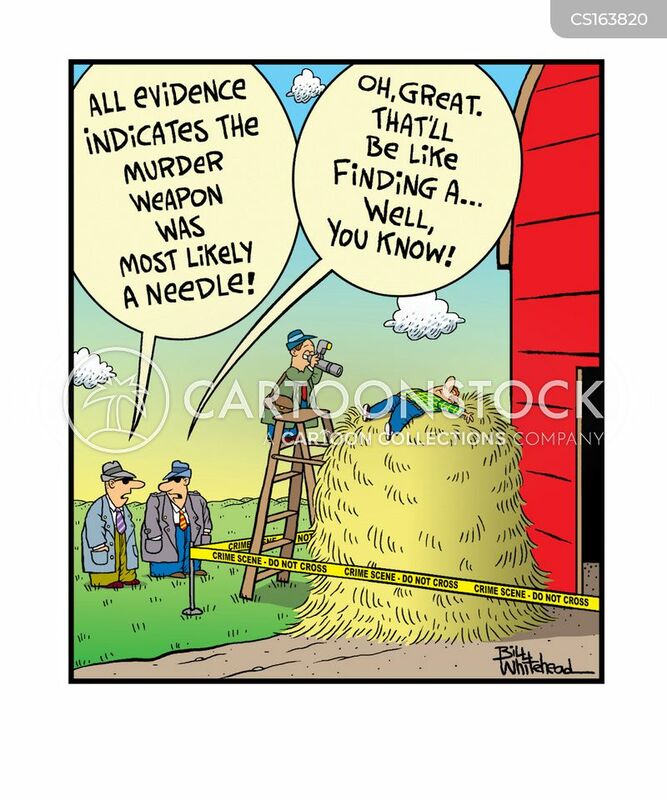 Big needle in a hay stack. 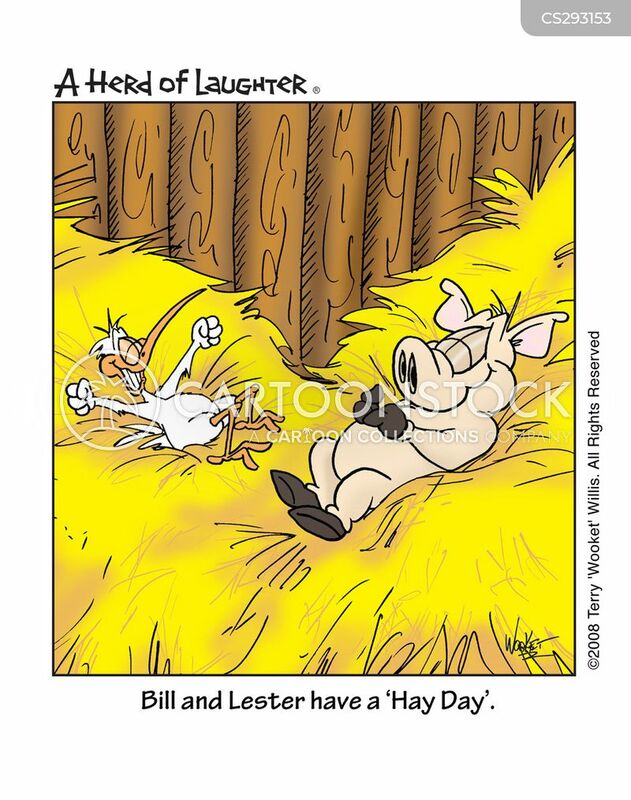 Bill and Lester have a 'Hay Day'. 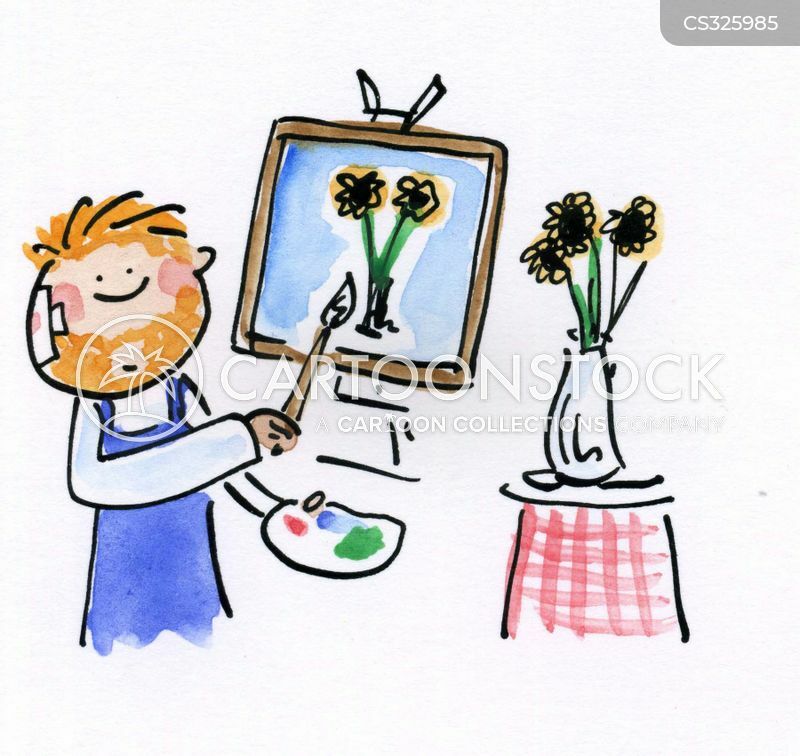 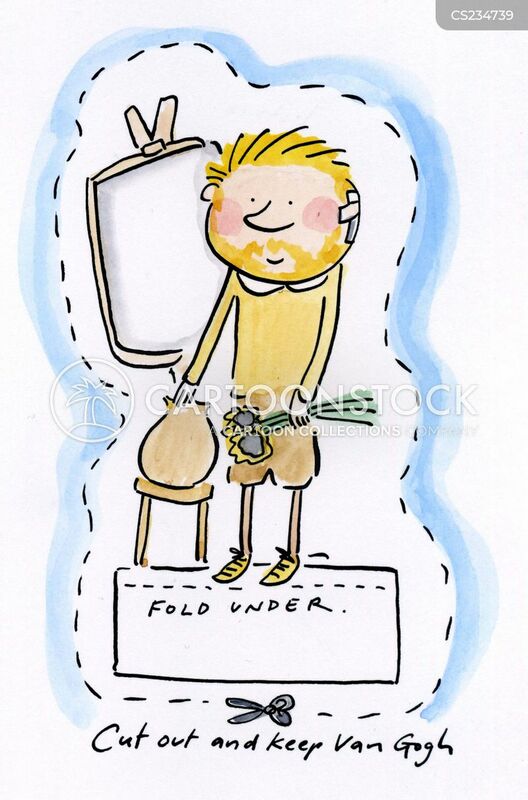 Cut out and keep your own Van Gogh.